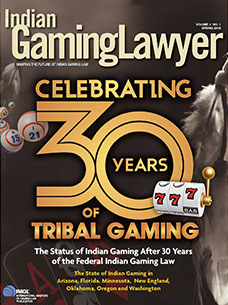 Indian Gaming Lawyer is a new magazine that is published twice a year by the International Masters of Gaming Law. This publication is mailed to all IMGL members and to others by request. Articles for the Autumn 2018 issue are due by June 29, 2018. 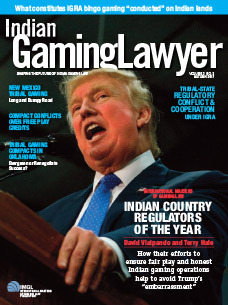 Subscribe to Indian Gaming Lawyer. 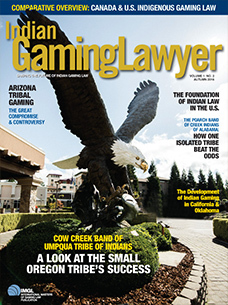 Indian Gaming's Growing Trend By Alan P. Meister, Ph.D. 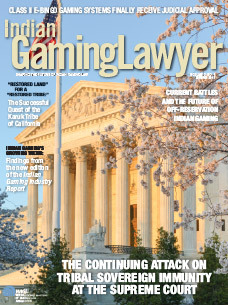 The Continuing Attack on Tribal Sovereign Immunity at the Supreme Court By Graydon Dean Luthey, Jr. 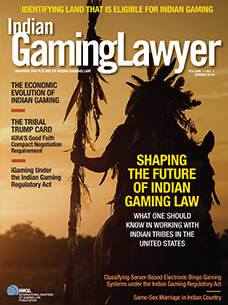 The Legal Development of Indian Gaming in Oklahoma Since 1988 By Graydon Dean Luthey, Jr.
​The Economic Evolution of Indian Gaming By Alan P. Meister, Ph.D.